So after my last post I was explaining about the basics of doodling and what images tend to mean. 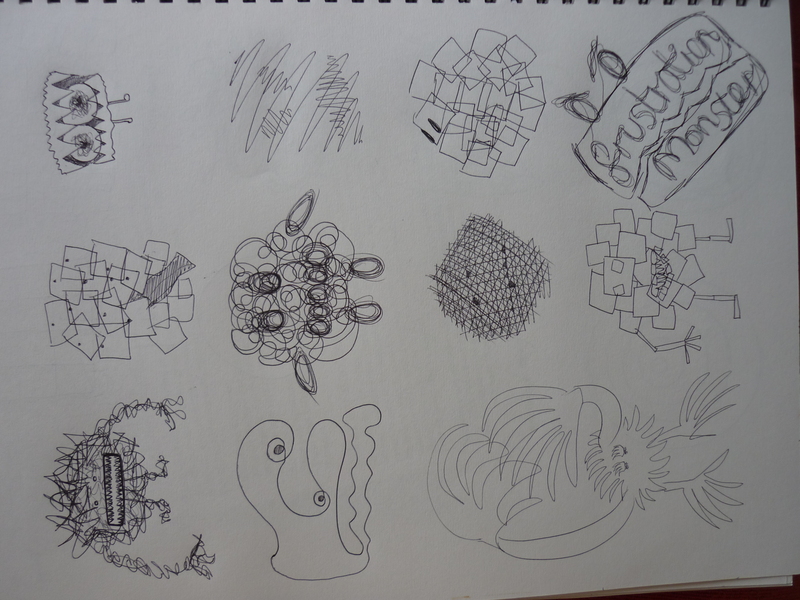 Well here are some of the doodles I did for The Library of Babel. These are frustration monsters, I thought of the previous patterns I had created and drew a variety from scribbles to overlapping certain shapes. I think the first monster and the curly wurly one shows frustration the best as I feel like the constant movement of the lines shows repetition and annoyance. I then thought what would it be like if you could buy the feeling frustration, would it come in a box? 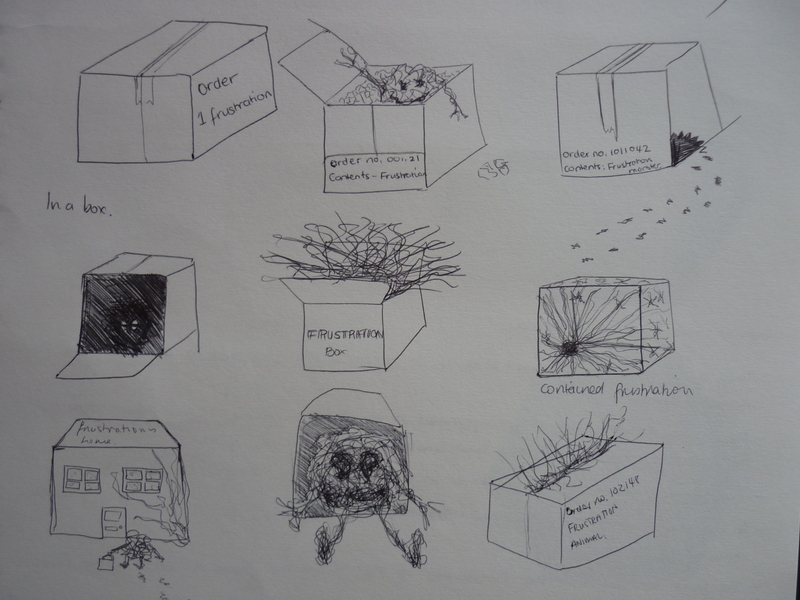 So I drew how it would come out of the box, from hiding in the dark to jumping out. I thought I would draw these types of doodles as it let my imagination come out more and just have fun which can help when thinking of new ideas. 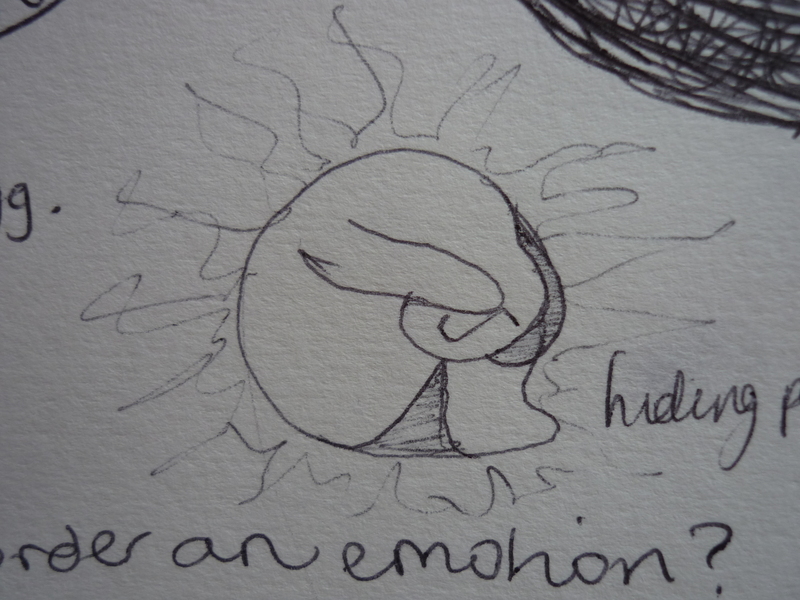 Whilst doodling I made this little person, cowering in the corner. I then thought maybe this could be my mini logo, to me it feel like they are going to explode with frustration but this is just before this happens. The part when you just want to curl up into a ball and hope all the negative issues disappear. From here I am now going to play around with developing something that hopefully turns into a logo or something! This entry was posted in Doodling Continues.